Marmalade in Germany | Chasing Life! There are several things I have on my bucket list, like places I want to travel to, people I would like to meet, and things I would like to do. 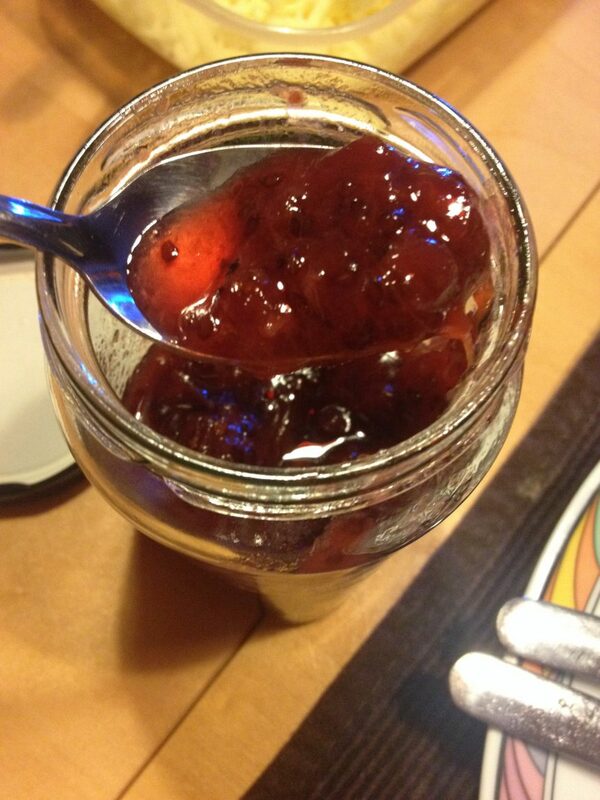 On my last trip to Germany, I was able to scratch one item off the list; making jam or marmalade. I had the honor of staying with my good friend Elisa Jakucs and her lovely family for a couple of days, and during my stay there, her fabulous mother, Mrs. Eva Jakucs, taught me how to make marmalade, among other things. On this blogpost, I’m sharing my experience of learning how to make Johannes berry/rhubarb jam, which to my surprise was a lot easier than I thought it would be. Enjoy! 1st step: Collect the fruit you will be using for your jam. In this case, my host had frozen berries and rhubarb that she had picked and stored from her garden. 2nd step: Add one cup of sugar per every two cups of fruit, and place in a pot on medium heat for defrosting and mixing. 3rd step: Constantly stirring, keep an eye as it defrost and bled well. 4th step: Keep stirring, lower heat a bit. 5th step: Continue to stir until it has the consistency of syrup, turn the heat down. 6th step: With a colander, separate the thick syrup from the watery juice (save the juice for sauces, syrup, or to drink). Saving the juice to use for sauces, salad dressing, etc. 7th step: Pour the thick syrup into clean mason jars (jars can be boiled to kill any germs, or taken right out of a wash on the dish washer) In this picture, we placed them in a mold with cold water to cool them down before storing them. 8th step: Place lids on the jars and store for future use or for Now use. We were too excited to wait a day, so we opened one jar immediately and had it with homemade hungarian làngos, which I will share how to make on my next blogpost. Until then, see you next time at the Invisible Gazebo!